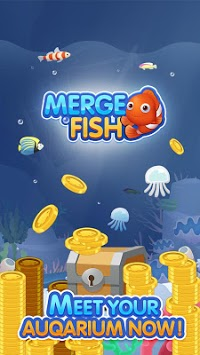 Merge Fish! is a game designed to help you relax from the demands of life. 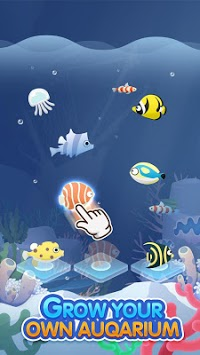 You will start with an empty aquarium where you can create your own ocean world. 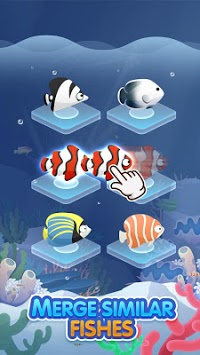 You can merge small fish to get new and better fish. More and more exotic fish are waiting for your discovery. Lucky jellyfish will appear at random with amazing gifts and you never know what the cute hermit crab will bring. The process of filling the aquarium is exciting and addicting so you won’t want to leave for long. How about starting your exploration of the ocean world now?